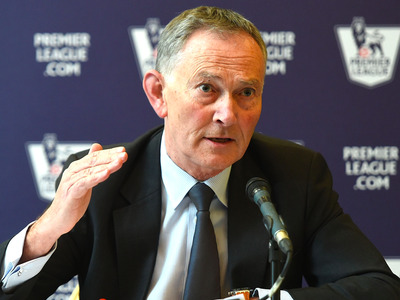 Tom Dulat / Getty ImagesRichard Scudamore, chief executive of the Premier League, is against a Brexit. Richard Scudamore, the executive chairman of the Premier League and one of the most powerful men in English football, has come out firmly against a Brexit in the EU referendum on June 23. Speaking on BBC 5 Live, Scudamore claimed that his job had given him a lot of experience dealing with EU bureaucracy, saying “nobody bears the scars more than me of having to go out and negotiate in Brussels and try and organise things a little bit in our interests in terms of the European machine. That doesn’t seem to sit very well when you travel the world like we do being welcomed because of the fact that we are open for business, open for discussion, and open for cooperation. There is an openness about the Premier League which I think it would be completely incongruous if we were to take the opposite position. Scudamore maintained that all 20 football clubs currently in the Premiership were totally against a Brexit. Last year research found that just 33.2% of starting players in the league were English, down from 35% in 2014. The Premier League is the most-watched football league in the world, with revenues set to skyrocket over the next few years as revenues from lucrative TV rights are set to rise all over the world. Manchester United alone is valued at €2.9 billion (£2.2 billion; $3.2 billion) by accountancy firm KPMG, with new manager Jose Mourinho set to make a slew of foreign signings for the new season. The EU referendum is still too close to call, though some polls suggest Remain has gained a slight edge in the past few days. For instance, a Survation poll for the Mail on Sunday gave the ‘In’ campaign a three-point lead.